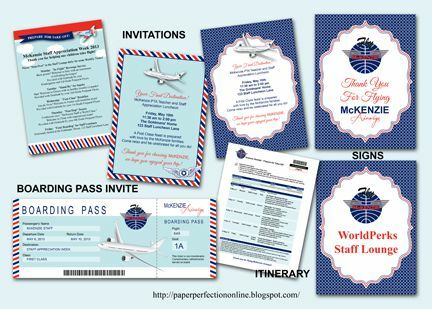 Paper Perfection: Teacher Appreciation Week - Thanks for Helping Our Children Take Flight! Teacher Appreciation Week - Thanks for Helping Our Children Take Flight! I made this collection for an elementary PTO that really knows how to celebrate their teachers with a fun week long teacher appreciation event. 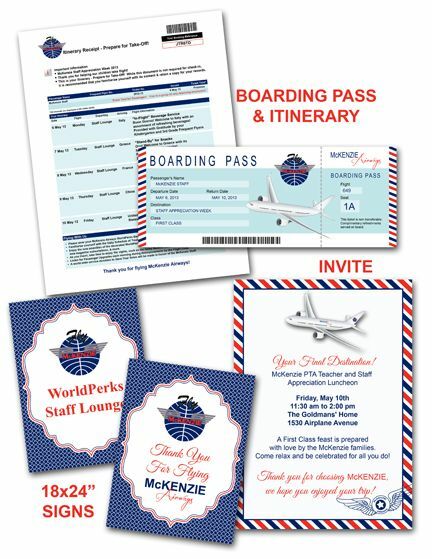 I worked with this group of moms two years in a row to create lots of wonderful invitations, signs for the break/work room and several other items. This year I helped them with the a "Thanks for helping Our Children Take Flight!" theme. Here are a few of the things I created to help make their teacher appreciation event spectacular! If you would like items for your teacher appreciation week/event or need help with custom items contact Paper Perfection at jtanddolly@yahoo.com for pricing and details.